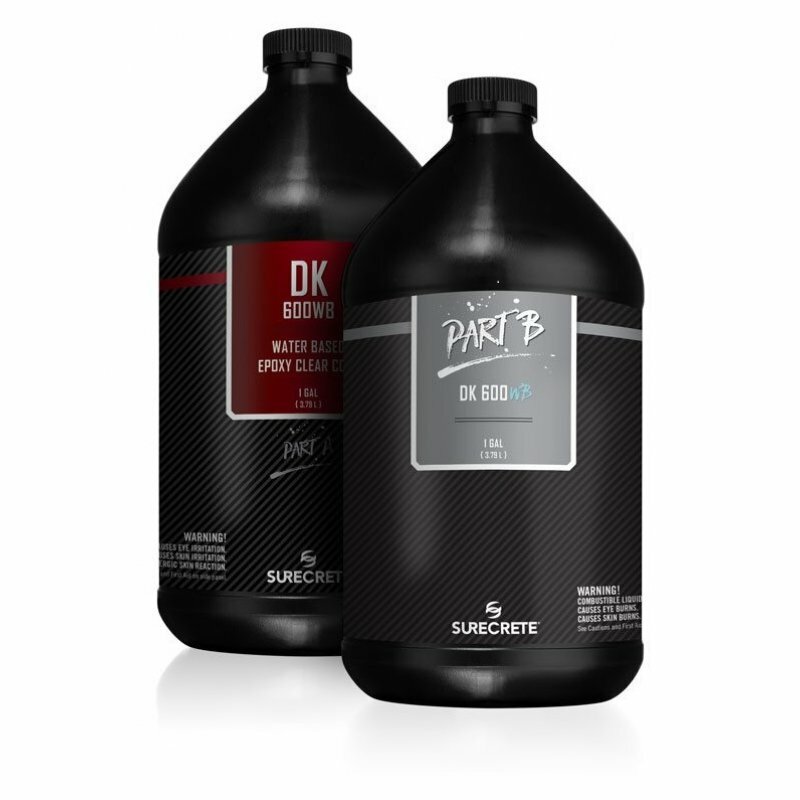 DK 600WB is a two-component, 85% solids, floor coating for interior concrete and cement- based overlays. The high performance clear top coat, provides the durability of a solvent base system with the ease and safety of a 0 VOC water base system that is both user-friendly and extremely durable. • Withstands high vapor transmission rate, up to 13 pounds per 1,000 ft² (5.4 kg per 100m²) in 24 hours. • Provides a non-permeable vapor barrier, even in basements. • Applies on fresh concrete as soon as three days after pouring and placing concrete. DK 600WB is ideally suited for both commercial and residential settings: manufacturing facilities, warehouses, bars, clubs, retail stores, automotive showrooms, hospitals, medical centers, residential interiors, garage floors, gyms, locker rooms, stadiums, or anywhere that an exceedingly resilient floor is desired. Coverage - 125-175 sqft per gallon catalyzed product (varies widely based on application method). For smooth surface or second coat approximately 200 -250 ft² per gal.